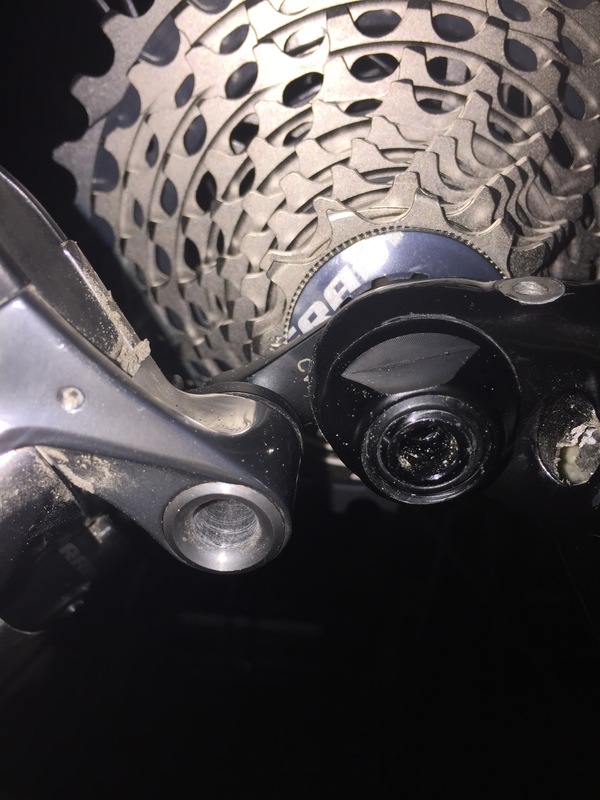 Shifting with SRAM eTap was also quite a risk, as the max. allowed size of the rear cassette was 28 teeth. I tried to install the GOAT LINK, that lowers the position of the rear derailleur but also further out. 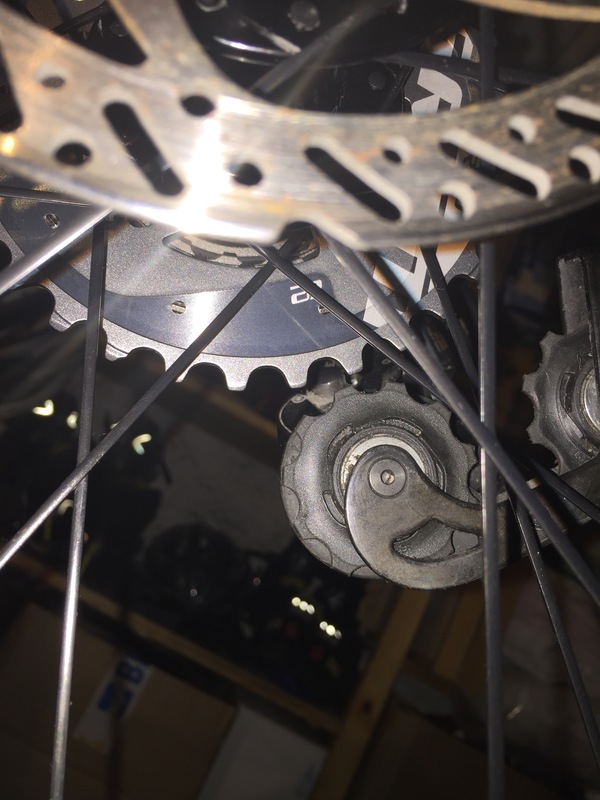 That means the reach of the derailleur was taken further out so that the 10th and 11th cassette gear could not be reached anymore. So, the GOAT LINK was no option anymore. I took the risk and ordered a cassette with 32 teeth. 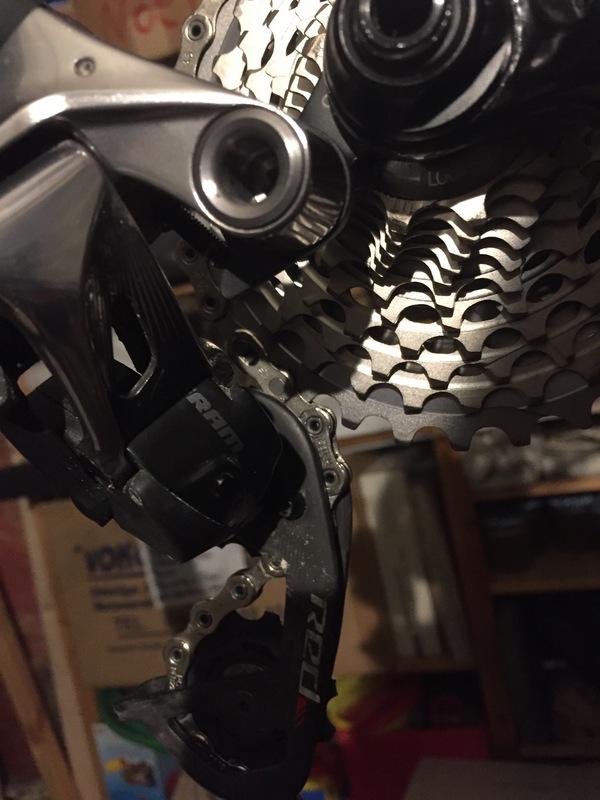 The required 6mm between derailleur and cassette could not be realised anymore, but it worked. Chainrings came in 50/34, rear cassette with 11-32. Although Jeff and Josh were coming with 42 teeth in the rear, I was confident to get through any conditions with my ratio. I only had to walk twice, once 20meter in Italy, getting out of a village on a mini small and stiff road towards passo di san pellegrino. Second time had been the border crossing from Bosnia into Montenegro on the R432a, as it was my initial idea. too stiff too much gravel. I brought two spare pairs of cleat, one I returned back home! I brought four fully charged batteries and the charger for eTap. I did not recharge any after I replaced the batteries, a risk, but also some time saving as I did not stay at places for long enough time to charge anything. After entering into Turkey one of the two installed batteries gave up, so I have to kill my front derailleur and keep the rear one going. This one lasted until Canakkale.